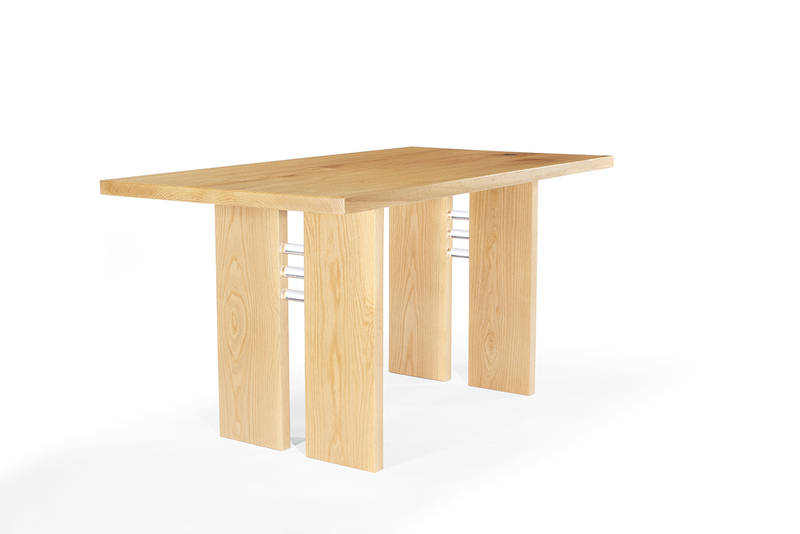 Constructed from figured red oak, plain sawn white oak, and acrylic rod. Features no visible joinery and finished in satin lacquer. Customizable for any size or specie of wood. 31" x 60" x 30"